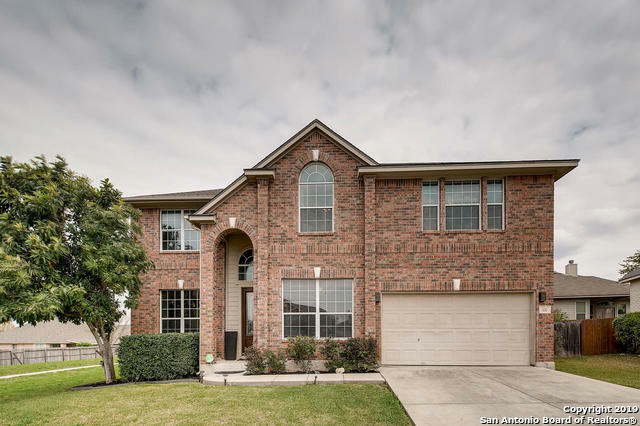 All RIDGE AT DEER CREEK homes currently listed for sale in Cibolo as of 04/25/2019 are shown below. You can change the search criteria at any time by pressing the 'Change Search' button below. "THIS BEAUTIFUL, READY FOR MOVE IN, & FULLY RENOVATED 4 BED/2.5 BATH HOMES BOASTS NUMEROUS FEATURES INCLUDING ENERGY EFFICIENT SOLAR PANELS, HIGH CEILINGS & NEWLY INSTALLED FLOORING THROUGHOUT, SEPARATE OFFICE, LARGE MASTER RETREAT DOWNSTAIRS, GOURMET KITCHEN BOASTING HIGH-END GRANITE & FINISHES -OPEN TO MULTIPLE DINING/LIVING AREAS, & A LARGE BACKYARD WITH LUSH LANDSCAPING & IN-GROUND POOL - PERFECT FOR ENTERTAINING FAMILY & FRIENDS. GREAT LOCATION NEAR HIGHWAYS, SHOPPING, SCHOOLS, AND MUCH MORE"
"*Price Reduction**Beautifully Appointed Home Located on a Cul-de-Sac*Features you will love*Updated Granite Island Kitchen w/plenty of cabinet space*Bright Open Living Area w/fireplace and Large Windows for Natural Light*Beautiful Wood Flooring in Living area/Dining/Study*Tiled Flooring in Wet areas*Spacious Master with Plantation Shutters*Updated Granite in Master Bath and all Secondary Baths*Large Secondary Beds*New Roof*Water Softner with Reverse Osmosis*Great Schools and Near Military Bases*"
"Move-In Ready Single Story RYLAND Home! This well maintained home offers an open floor plan with a beautiful landscaped front yard, engineered hardwood flooring, 9 foot ceilings, remodeled Master Bathroom, plantation window shutters, NEW ROOF (2017), solar panels, island kitchen, Vivint smart home security system, sprinkler system, backyard deck, and many more upgrades! Come See Today!!! 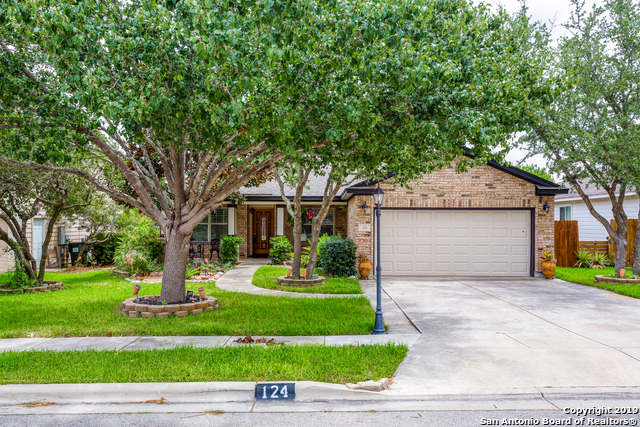 Great Cibolo location, easy access to Randolph and Fort Sam."